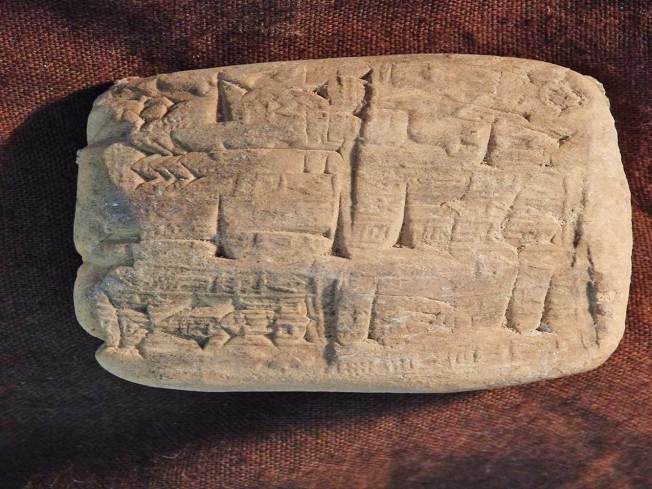 Cuneiform tablets were falsely labeled as product samples and shipped to Hobby Lobby Stores. Arts-and-crafts chain Hobby Lobby has agreed to pay $3 million to settle a federal case over smuggled Iraqi antiquities it bought to demonstrate its "passion for the Bible." NBC News reports that prosecutors said the 5,500 Iraqi artifacts were shipped without proper documentation, labeled only as "ceramic tiles" or "samples" from Turkey or Israel. The company didn't pay the dealer who supposedly owned the items, instead wiring $1.6 million in payment to the accounts of seven other individuals. Hobby Lobby is perhaps best known for its Supreme Court victory in a 2014 religious freedom case over contraception. The family that owns the company is also bankrolling a $500 million Museum of the Bible slated to open in Washington in the fall. In a statement, Hobby Lobby President Steve Green acknowledged "regrettable mistakes" that he chalked up to inexperience.